If you are looking for solutions to any esthetic challenges with your smile or any oral health problems, call our office for same day dentistry. We are conveniently located in Hackensack, and you can schedule an appointment by calling (201) 204-1355. In our dental office, we are passionate about oral health and believe in the critical nature of preventative dental care. For this reason, we recommend having your teeth professionally cleaned and examined once or twice a year. Our objective is to use these appointments to prevent many common oral health problems like cavities and gum disease. While our hope is that all of our patients receive this regular dental care, we know that many people are concerned about the time it will take for this or other procedures. When you visit our dental office, you can be confident that we will perform your teeth cleaning and examination promptly and comfortably. In most cases, your appointment will be over before your lunch break ends. If you are looking to see a rapid improvement to the appearance of your teeth, we recommend that you schedule a teeth whitening procedure. This same day dentistry solution can whiten your teeth by eight shades or more in a single office visit. 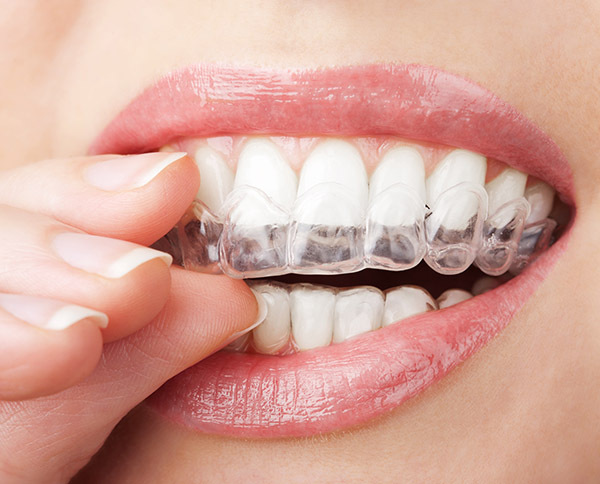 To do so, we place a whitening solution on your teeth that is activated by a special Glo light. The solution will penetrate the enamel and begin the process of oxidization. This is where the molecules inside of your teeth will change to reflect less light and appear colorless. As it does, your teeth will appear bright and white. This is typically the fastest way for you to see a significant improvement to the esthetics of your smile. 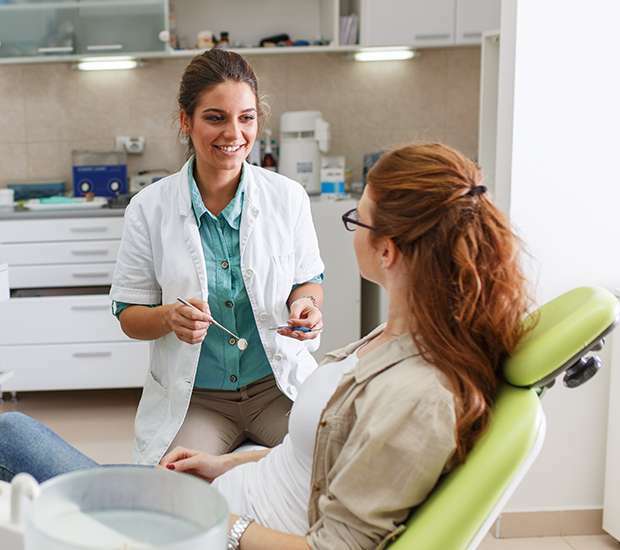 If you live in or near the Hackensack area, call 201-204-1355 to schedule an appointment with our Hackensack dentist office so that you can enjoy living with a more beautiful smile. At Rolando Cibischino D.M.D, we offer dental bonding as a way to improve the appearance of your teeth and to restore teeth that have been damaged in an accident. In a bonding procedure, the enamel on your teeth will remain intact, making this solution entirely reversible if you choose to use a different type of restoration in the future. The process can be completed in one day by roughening up the surface of your tooth prior to shaping the bonding material. Created to mimic the natural shade of your teeth, it is shaped prior to being hardened in place for a natural looking restoration. This procedure is certainly ideal for children, given how quickly it can be completed. Many adults also use this option when they are pressed for time and looking for an immediate restoration. The only challenge is that the bonding material will not be as durable as a dental crown would be, making it essential to discuss the pros and cons of the procedure. 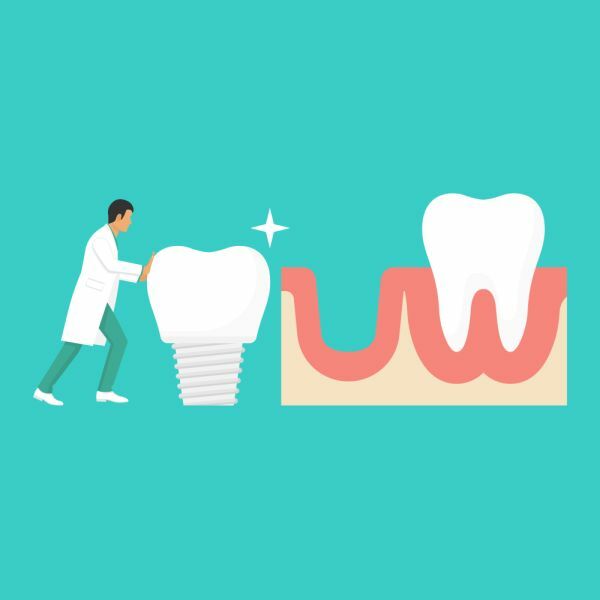 If you have significantly damaged your tooth, you may likely need a dental crown to restore its appearance and to strengthen it. It is critical that you visit our dental office as soon as possible after damaging your tooth. If you leave the damaged area exposed, bacteria can infect the center of your tooth. This can create the need for a root canal to be completed. If the infection becomes severe, like a dental abscess, more drastic steps may be required to drain the pus. This is an unfortunate but entirely avoidable situation. If you simply have the damaged tooth restored immediately, the risk of a bacterial infection goes down significantly. At Rolando Cibischino D.M.D, we offer same day dentistry and dental crowns for patients throughout the Hackensack area. We do so using advanced technology. When a crown is traditional created, it is a process that involves the dental lab. First, an impression is taken of a patients' mouth, and measurements are taken. That information is then sent to the dental lab for the crown or crowns to be created which can take weeks to complete. In the meantime, the tooth is prepared by removing a portion of the enamel so that the crown will lay flat without irritating the surrounding teeth. To then protect the tooth, a temporary crown is placed around the prepared tooth and worn until the new one is ready. Due the multiple steps involved with this process, a patient could have one or two appointments before the permanent crown is secured to the tooth. While effective, the entire process is time-consuming and not within the reach of those with demanding work schedules or a busy home life. To address this issue, we offer same day dentistry where dental crowns can be created in our office, the day that you come in needing a restoration. If you live in the Hackensack area and have a damaged tooth, we recommend that you call (201) 204-1355 to schedule an appointment with our dental office. There is no need to wait for the dental lab to create a permanent crown for you when we offer a solution that can be completed in one day. This will allow you to walk in with a cracked or chipped tooth and leave with one that looks natural and is fully functional. Since crowns are also used for cosmetic applications, we can use this same technique to change the shape and size of your teeth, close gaps in between your teeth, cover dark stains, and more - all within one day. For those that need an immediate smile improvement, this is an excellent solution to explore. The process works using advanced technology. We take a digital image of your mouth and upload it to our CAD/CAM software. The software then goes to work creating a 3D model of the tooth that is being restored. The model includes the exact dimensions of the crown. Our 3D printer then goes to work printing the crown while your tooth is being prepared. This is perhaps the most convenient way to restore your damaged tooth or to change the appearance of your smile. 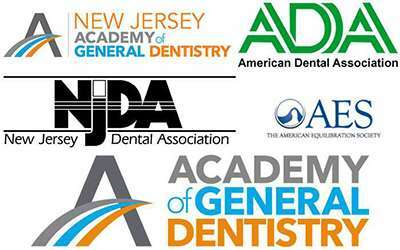 To learn more, call 201-204-1355 and visit our Hackensack dental office today.